Kyle Grillot - kgrillot@shawmedia.com Woodstock senior Damian Stoneking (21) cheers with his team before the start of the boys basketball game Friday in Woodstock. 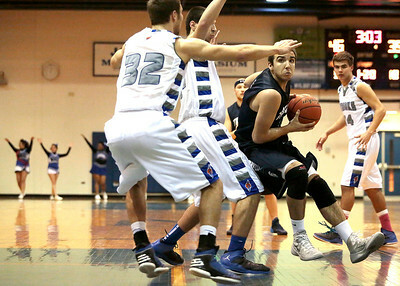 Woodstock beat Cary-Grove, 52-48. Kyle Grillot - kgrillot@shawmedia.com The Woodstock team enters the court before the start of the boys basketball game Friday in Woodstock. 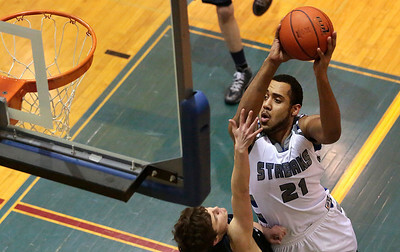 Woodstock beat Cary-Grove, 52-48. Kyle Grillot - kgrillot@shawmedia.com Woodstock senior Mitch Kohley (33) puts up a shot under pressure from Cary-Grove senior Devin McDonough (10) and junior Jason Gregiore (12) during the first quarter of the boys basketball game Friday in Woodstock. 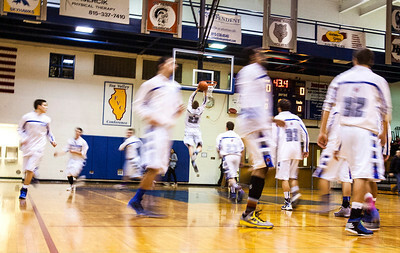 Woodstock beat Cary-Grove, 52-48. 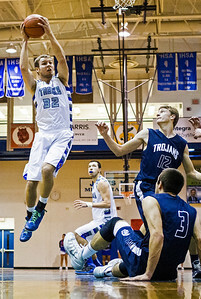 Kyle Grillot - kgrillot@shawmedia.com Woodstock junior Mason Sutter (32) goes to put up a shot under the pressure from Cary-Grove senior Mike Krich during the first quarter of the boys basketball game Friday in Woodstock. 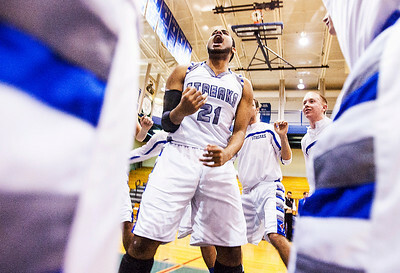 Woodstock beat Cary-Grove, 52-48. Kyle Grillot - kgrillot@shawmedia.com Woodstock junior Mason Sutter (32) puts up a shot under pressure from Cary-Grove junior Jason Gregiore (12) during the first quarter of the boys basketball game Friday in Woodstock. 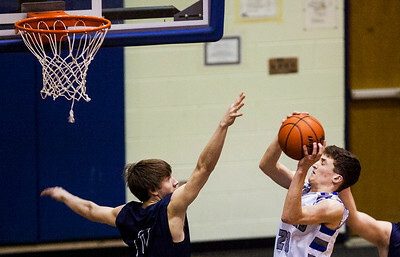 Woodstock beat Cary-Grove, 52-48. 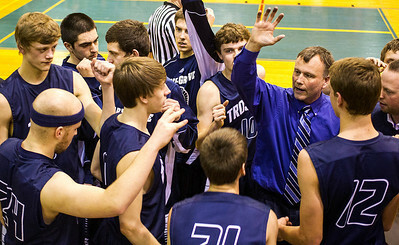 Kyle Grillot - kgrillot@shawmedia.com Cary-Grove head coach Ralph Schuetzle talks with his players after the first quarter of the boys basketball game Friday in Woodstock. 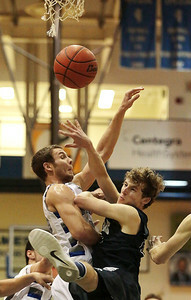 Woodstock beat Cary-Grove, 52-48. Kyle Grillot - kgrillot@shawmedia.com Woodstock senior Damian Stoneking (21) puts up a shot under pressure from Cary-Grove senior Devin McDonough (left) during the first quarter of the boys basketball game Friday in Woodstock. 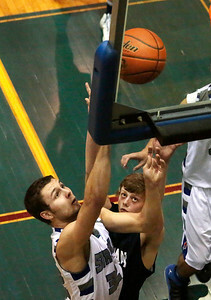 Woodstock beat Cary-Grove, 52-48. 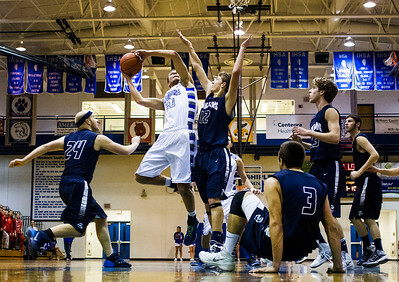 Kyle Grillot - kgrillot@shawmedia.com Heavily guarded Cary-Grove senior Mike Krich looks for an open teammate during the first quarter of the boys basketball game Friday in Woodstock. Woodstock beat Cary-Grove, 52-48. Kyle Grillot - kgrillot@shawmedia.com Woodstock junior Mason Sutter (32) puts up a shot under pressure from Cary-Grove junior Michael Coleman (right) during the second quarter of the boys basketball game Friday in Woodstock. Woodstock beat Cary-Grove, 52-48. 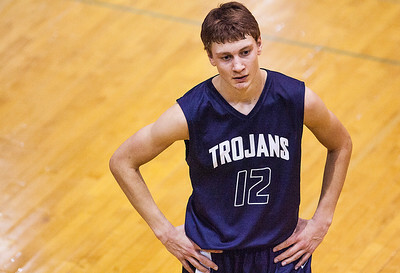 Kyle Grillot - kgrillot@shawmedia.com Cary-Grove junior Jason Gregiore (12) looks to his teammates after a foul is called on him during the third quarter of the boys basketball game Friday in Woodstock. Woodstock beat Cary-Grove, 52-48. 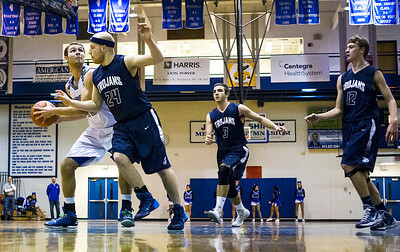 Kyle Grillot - kgrillot@shawmedia.com Cary-Grove senior Tyler Szydlo goes to up a shot under pressure from Woodstock junior Mason Sutter and sophomore Nick Kubiak during the fourth quarter of the boys basketball game Friday in Woodstock. Woodstock beat Cary-Grove, 52-48. 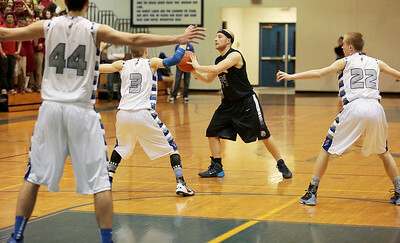 Kyle Grillot - kgrillot@shawmedia.com Cary-Grove senior Tyler Szydlo puts up a shot under pressure from Woodstock junior Mason Sutter and sophomore Nick Kubiak during the fourth quarter of the boys basketball game Friday in Woodstock. Woodstock beat Cary-Grove, 52-48. Kyle Grillot - kgrillot@shawmedia.com Woodstock junior Mason Sutter (32) and Cary-Grove junior Nick Barr (12) go for a loose ball during the fourth quarter of the boys basketball game Friday in Woodstock. Woodstock beat Cary-Grove, 52-48. Woodstock senior Mitch Kohley (33) puts up a shot under pressure from Cary-Grove senior Devin McDonough (10) and junior Jason Gregiore (12) during the first quarter of the boys basketball game Friday in Woodstock. 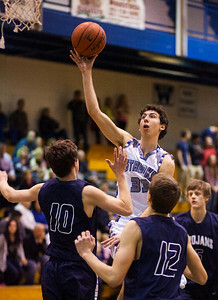 Woodstock beat Cary-Grove, 52-48.